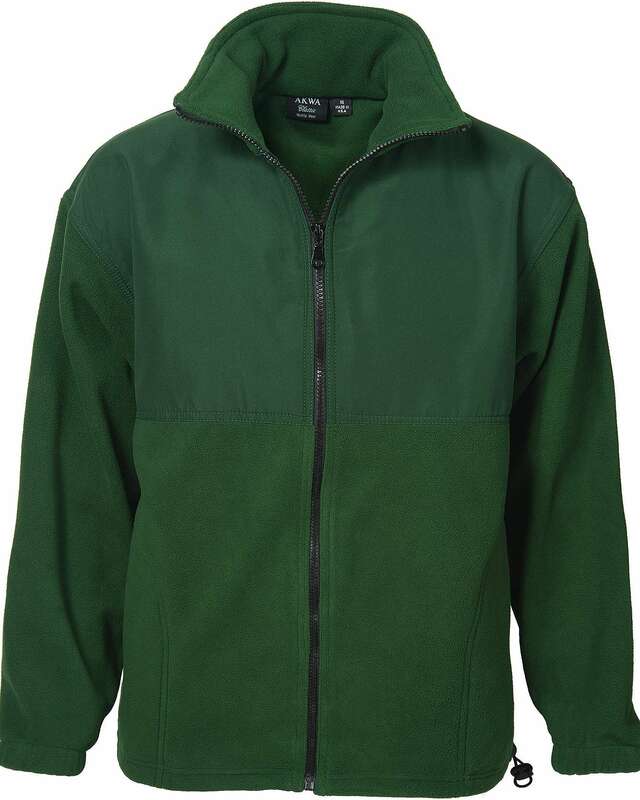 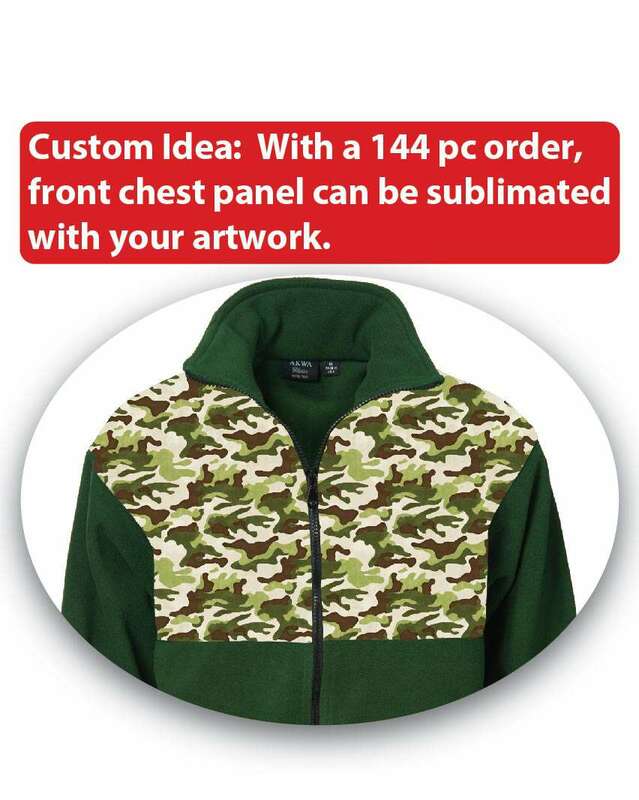 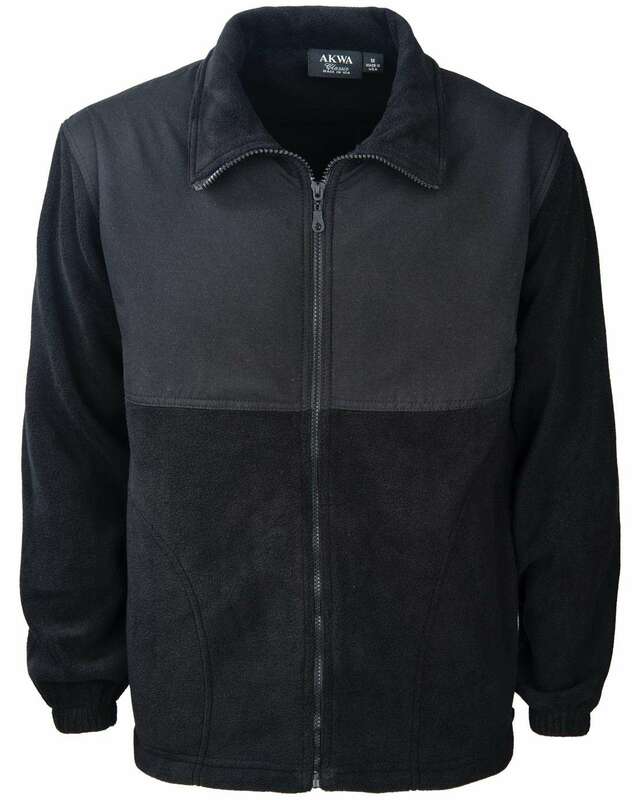 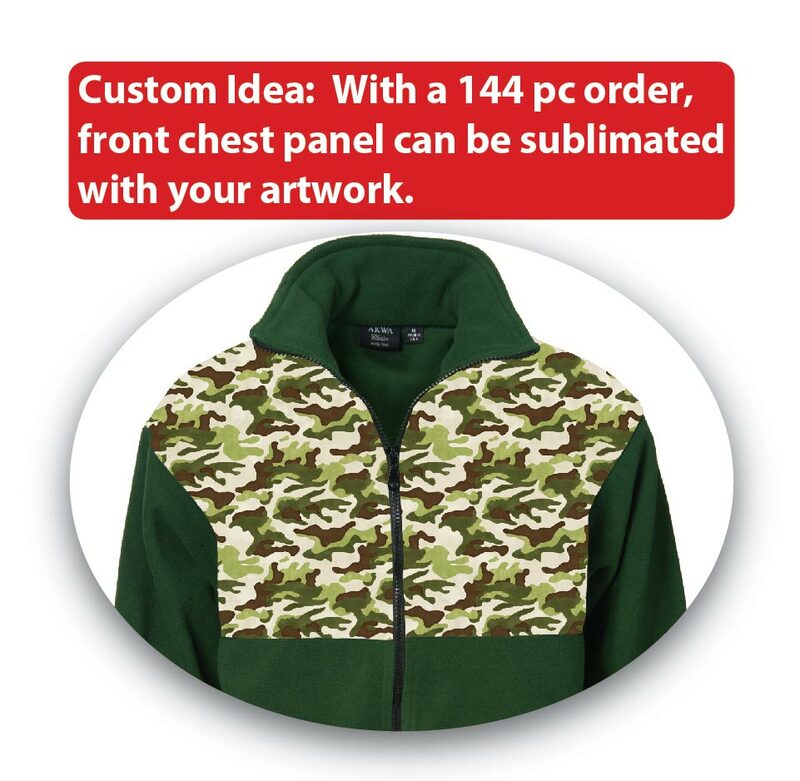 Fabric - 8.5 oz, Anti-Pill Poly; chest panel and back yoke layered with 4.0 oz water waterrepellent Microfiber Sizes - S-4XL Features - Microfiber chest panel is great to embroider on. - Zips all the way up if you need a high collar. 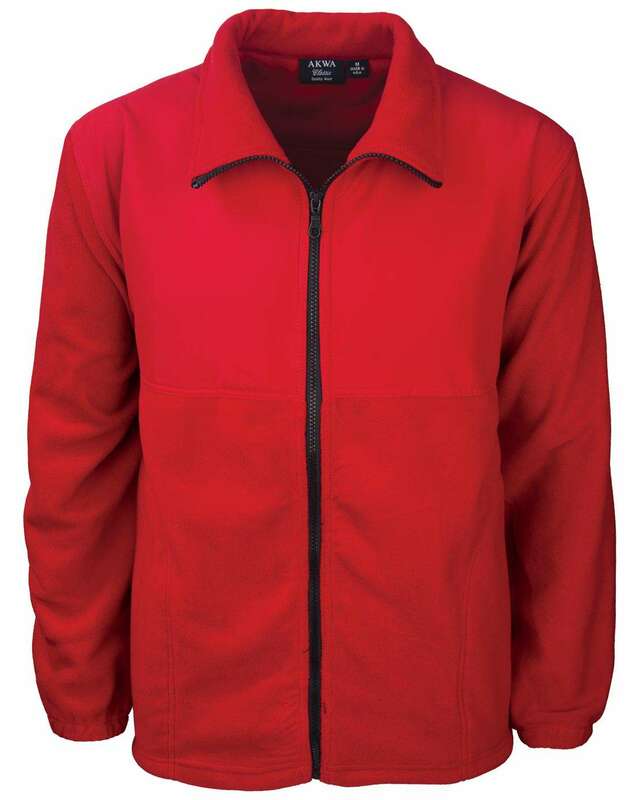 - Side pockets, elastic cuffs, open bottom hem with adjustable drawcord. 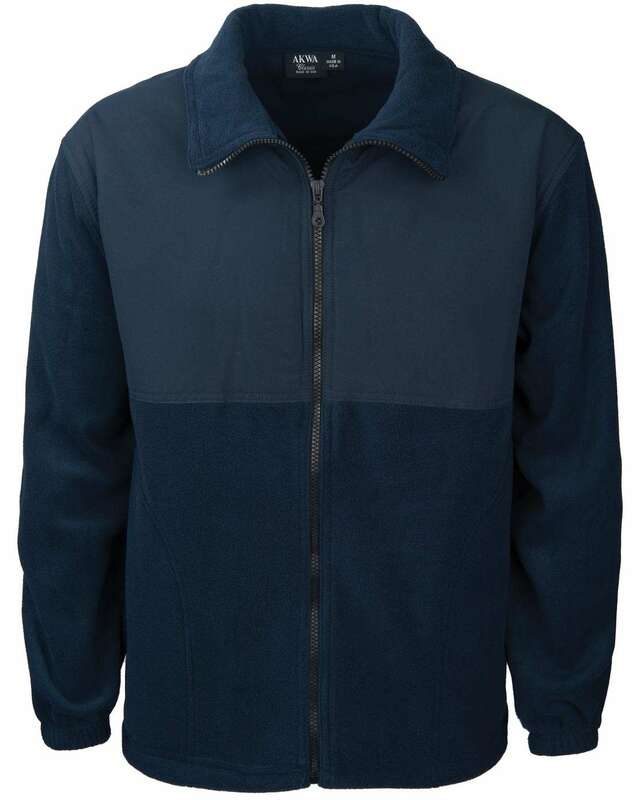 - Lightweight and comfortable.